Of the seven hills, Palatine figures most importantly in the the city's history and legends and is a mecca for fans of Roman history. Romulus is said to have founded the city here, and it his home to the some of the most important archaeological sites in Rome. Palatine is located just above the Roman Forum and Circus Maximus, and the ruins of a number of palaces and villas built during the Roman empire are scattered over the hillside. The most significant are the Domus Aurea, Casa di Augustus, Casa di Livia (residence of the emperor Augustus’ wife), Domus Flavia, Domus Augustana, and Hippodrome. Nearby, the Palatine Museum has a collection of artifacts unearthed in the hill's archaeological digs and a historic reconstruction of the huts where Romulus and Remus lived. This hillside is still being excavated, and archaeologists have recently discovered a palace that may have been the birthplace of Rome’s first emperor, Augustus. In addition, and underground cave was found believed to have been the site of the ancient city’s Lupercalia celebrations, the legendary site where the she-wolf nursed Romulus and his twin brother, Remus. You can also visit the remains of the 16th-century Farnese Gardens (Orti Farnesiani), set on the ruins of the palace of Emperor Tiberius and offering bird's-eye views over the city. 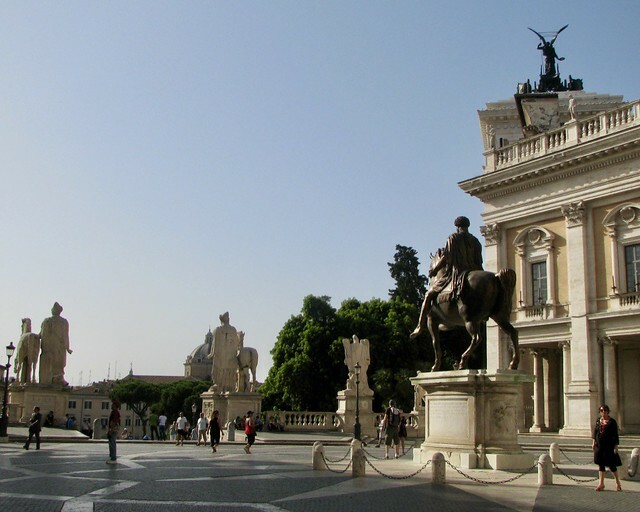 Art and architecture aficionados will enjoy visiting the Capitoline Hill, home to Piazza del Campidoglio, one of the most elegant squares in Rome. Designed by Michelangelo in 1536, the piazza overlooks the Roman Forum and is lined by three Renaissance palaces—Palazzo dei Conservatori, Palazzo Senatorio, and Palazzo Nuovo—and a monumental staircase known as the Cordonata. Together, the square's three palaces house the Capitoline Museums, established by Pope Sixtus IV in 1471 and opened to visitors in 1734, making it the first public museum in the world. The vast collection of classical sculpture, Renaissance paintings, and ancient artifacts is spread between the three palaces, which are linked by an underground gallery, as well as Palazzo Caffarelli-Clementino, adjacent the piazza. Be sure to catch museum highlights like the bronze “Capitoline Wolf,” the iconic image of Romulus and Remus suckling a she-wolf, and the ancient Roman sculpture known as “The Dying Gaul,” in addition to masterpieces by Caravaggio, Titian, Guercino, and Pietro da Cortona. 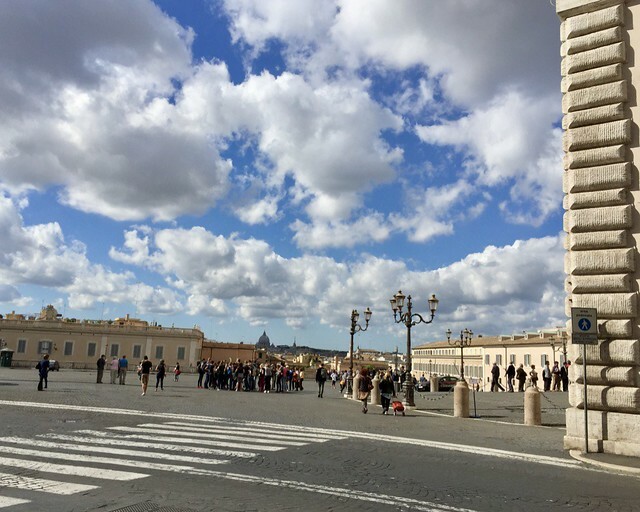 Another favorite for art lovers, Quirinal Hill is the highest of Rome's Seven Hills and home to the 16th-century Palazzo del Quirinale, a former royal palace that today serves as the official residence of the president of the Italian Republic. In addition to its long history as residence to popes and rulers (even Napoleon aspired to make the palace his own before being defeated), this immense palace serves as a de facto museum, with ornate art-filled halls arranged around an elegant internal courtyard and a garden with excellent views over the city. You can visit the palace's monumental staircase, grand Salone dei Corazzieri, Cappella Paolina, and other highlights on the guided tours offered by the palazzo staff on Tuesday, Wednesday, Friday, Saturday, and Sunday. Spaces are limited, so you must book in advance. A wealthy residential neighborhood during the Roman Republic, Caelian Hill today is an interesting stop for enthusiasts of early Christian history, as it is home to two ancient churches, as well as the ruins of the Baths of Caracalla. Just a short walk from the throngs visiting the Colosseum and Forum sit two of the most historically significant yet least-visited churches in Rome. The Basilica di Santo Stefano Rotondo al Celio is one of the oldest and largest circular churches in the world. Though it was dramatically reworked in subsequent centuries the original core from the 5th-century architecture remains intact, and one of its highlights is the rather macabre 16th-century fresco cycle decorating the outer wall that depicts 34 graphic scenes of martyrdom. 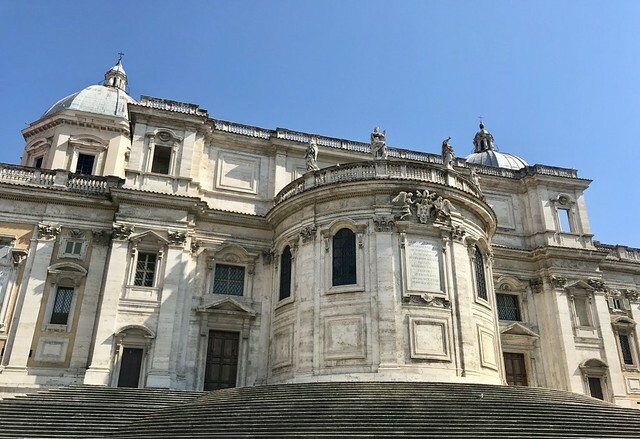 Nearby, the 4th-century Basilica di Santi Giovanni e Paolo al Celio is built on top of the ruins of the Case Romane, said to be the home and burial site of the saints John and Paul, two Roman soldiers whose conversion was repaid with a beheading by Emperor Julian the Apostate. Roman history (and music) fans can take in the Baths of Caracalla, one of the largest and best preserved ancient Roman baths in the world. An extravagant 25-hectare complex, the baths were built by the Emperor Caracalla in AD 212, and included three separate bathing areas, a swimming pool, two gyms, and a library. Today they are often used as a backdrop for music and dancer performances on summer evenings. 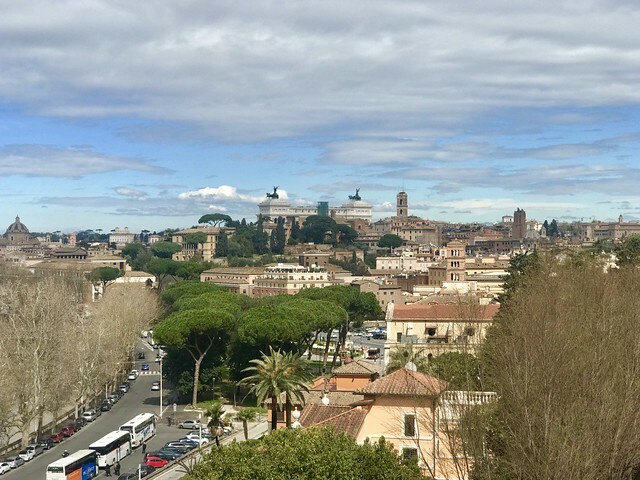 If you want to snap your “money shot” of Rome, head to the Aventine Hill, home to some of the most scenic overlooks in the city. If Romulus' twin brother Remus had had his way, Rome would have been founded on this hill instead of Palatine. 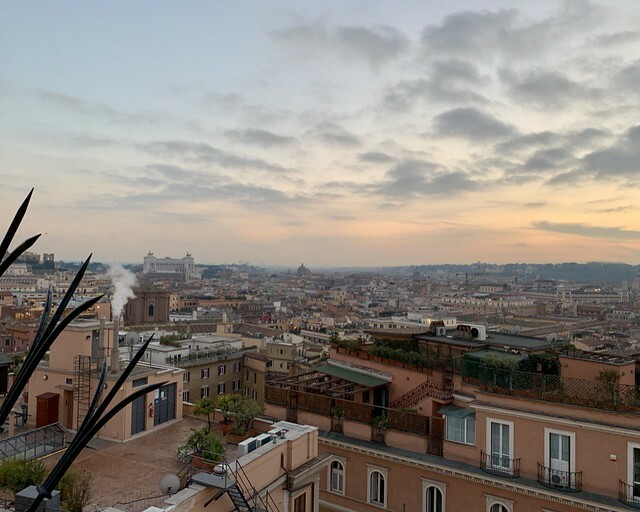 The gods were not in his favor, however, and today the hill is instead known for its smattering of churches and gardens that offer a quiet respite from the bustle of Rome's historic center. The southern-most of the Seven Hills, Aventine is popular with photographers for its views over the city from the Rose Garden, Orange Garden, and, most famously, the “keyhole” view of the dome of St. Peter’s Basilica from the Knights of Malta in Piazza dei Cavalieri di Malta (be prepared to wait in line to take a photo). Most visitor to Rome pass through Viminal Hill without knowing it, as it is site of the main Termini train station. Aside from its importance as a transportation hub, the hill is also home to the ruins of the massive Baths of Diocletian, the largest public baths in Imperial Rome. This 4th-century complex once covered 32 acres and could hold up to 3,000 bathers at a time, but was largely destroyed by the invading Goths 200 years later. Much of what the ruins were later converted into Michelangelo's Basilica of St. Mary of the Angels, the Church of San Bernardo alle Terme, and the National Roman Museum. Sitting just south of the Termini train station, the highlight of Esquiline Hill is the 5th-century Basilica of Santa Maria Maggiore, one of the Rome's four papal basilicas and home to one of the city's best preserved Byzantine interiors decorated with original mosaics depicting Old Testament scenes. In addition, the church contains a reliquary said to contain a piece of baby Jesus' crib and the tombs of Saint Jerome and artist Gian Lorenzo Bernini.